We know that the egg aisle has become a confusing place. It is not much better in the meat cabinets either when trying to buy free range pork and chicken. 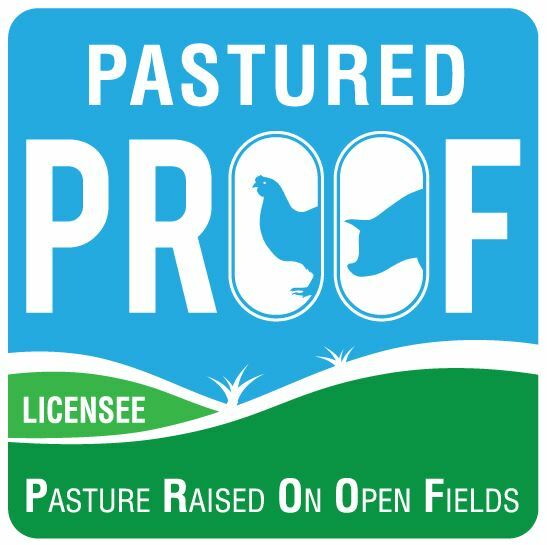 Instead of having to understand every industry term or description like free range, cage free, barn raised, caged or pastured for meat and eggs, we hope to earn your trust so you can simply reach for packaging that displays the PROOF logo with confidence. We know our farmers are doing the right thing for the hens, pigs, chickens, our farmers' futures, and for your family. Our farmers are unique in this industry because they are willing to promise you that their animals are raised outdoors just as you would expect. There is a better way of doing things than intensive farming and our dedicated farmers are proof of that. What is the definition of FREE RANGE? How much do free range pastured eggs COST? What does a pastured free range hen or pig eat? Which brands can I trust?